Sunny Dew®, 1 fl. oz. If your goal involves weight management, improving fitness, or simply living a healthier lifestyle, then the SunFit Pack is for you. 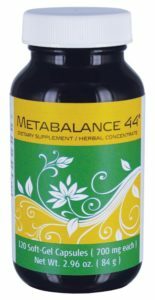 Easy and enjoyable to integrate into your daily routine, this selection of herbal-based products is ideal for people of all ages and fitness levels. The SunFit Pack includes five Sunrider® products to put you on track to the body you’ve always wanted and features Sunrider’s weight-management superstar, SunTrim® Plus. I have been eating the Sunrider foods since January 1983, and I credit some of my good health to the Sunrider foods. I am able to be extremely active at 90 years old because of the Sunrider products. Sunrider was the first company to introduce food-grade herbs, and its Philosophy of Regeneration is one of a kind. We began with Prime Again, NuPlus, Conco, Lifestream and Assimilaid. Dr. Chen eventually added Quinary, Alpha 20C, Kandesn products, Fortune Delight, and VitaShake, to name a few. The products are exceptional and make me feel as if fresh air is blowing through my body; I feel alive and clean inside. T have taken these products for 30 years. When I was 70, I ran in the Marine Corps Marathon in Washington, DC., and now I walk a lot because my knees prefer it that way. For my 90th birthday, I went paragliding as a tandem passenger. How exciting is that! 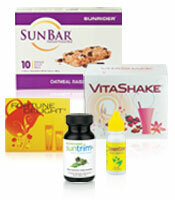 Now Sunrider has introduced the perfect healthy answer to weight loss, SunTrim Plus. As far as I’m concerned, SunTrim Pluse is the healthiest weight-loo product on the market. When I first read that you could feel the results in 30 minutes, I said, “This I’ve got to see!” Sure enough, within 30 minutes my body said, “Eat the vegetables and the fish, you really don’t need more then one helping, and don’t want any dessert.” I was amazed at how I felt, and by the end of the week, my slacks were loose around my waist. SunTrim Plus is definitely the answer to weight loss. Be the first to review “SunFit® Pack” Click here to cancel reply.